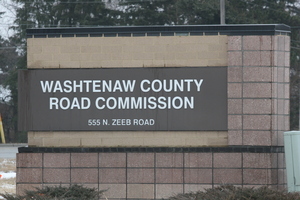 Posted on Wed, Feb 29, 2012 : 2:59 p.m.
Freedom Township officials will meet with representatives from the Washtenaw County Road Commission Thursday afternoon to discuss road projects. Officials will discuss four projects at Township Hall,11508 Pleasant Lake Road at 1 p.m. The township did not use $13,684 in matching drainage funds in 2011 but did use all $13,824 in conventional local road matching funds. So this year, as officials look at potential projects, there is $13,525 in local road match funding, about $300 less than last year, and $27,368 in drainage match funding that can be considered. Among the projects that were completed in 2011 were crack and chip sealing of Pleasant Lake Road from Fletcher to Reno and Reno to Lima Center Road, while ditch and berm work was performed on Waters Road from the bridge to Schmitz Road. This year’s local road projects up for discussion are improvements to various limestone roads throughout Freedom Township at an estimated cost of $12.48 per ton, which includes labor, equipment and material costs. Also part of the proposal from the Road Commission is the addition of gravel to various roads in the township at a cost of $10.39 per ton, which includes labor, equipment and materials costs. Another possibility is the addition of gravel to some roads with the township supplying the gravel and the Road Commission supplying the labor and equipment. The estimated costs for this work would be $5.25 per ton. Also up for discussion is ditch work, culvert replacement and berm work on Bethel Church Road from Steinbach to Kothe roads to improve the drainage in that area. The township could establish a “not to exceed cost” for the work. There are 46.76 miles of certified gravel roads in Freedom Township, and last year, the township chose to apply two solid applications of dust control or 193,000 gallons of brine on them. One application costs about $17,120. Thu, Mar 1, 2012 : 6:05 a.m.
Make the gravel haulers pay extra for the way they beat up the roads in Freedom Twp!